Cleaner Wandsworth employs a team of professional gardeners in Wandsworth SW18. Our gardening services include hedge trimming, lawn mowing and garden cleaning. Your neighbour has this lovely garden and you want one, too. Your problem, however, is that you are not particularly crafty and gardening is definitely not one of your elements. Do not worry! We are here to help. Cleaner Wandsworth is based in London and is experienced in providing all kinds of top-quality gardening services. 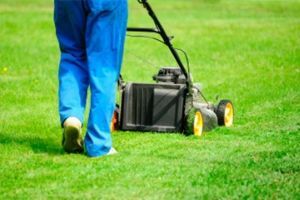 Our employees are skilled and well-trained to perform everything from lawn mowing to landscaping. And they will do it whenever you live. That is, they operate all around the city and more particularly in Wandsworth SW18. You need know that we only work with water- and energy-efficient machinery and eco-friendly products. Moreover, you will never have to do clean after we leave your place, for we always do this ourselves. Contact now our customer support centre and book the gardening service or services you like most. We have flexible working ours and we operate seven days a week, so you can make an appointment for any time you find convenient. We will surely be on time for it and deliver our services as quickly as possible. Remember, we never make compromise with the quality of our performance. And do not worry if you do not live in Wandsworth SW18 or anywhere nearby. We operate in every single area within London.